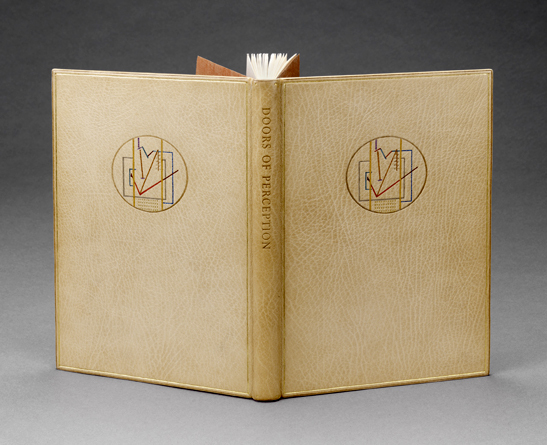 The [currently] 23 members of Designer Bookbinders of America have a web site to promote themselves. Each binder has an abstract image in a quilt on the member page, and scrolling over it brings up the name of the binder; when you click through you are offered more images of the member’s work, as well as links to his or her web site and contact information. They also have a remarkably complete listing of events. It’s a clean and attractive site, and we can hope it generates work for the members. These particular quilt swatches represent (from left to right and top to bottom): Monique Lallier, Gavin Dovey, Donald Glaister, Richard Minsky, Robert Wu, Sol Rebora, Louise Mauger, Amy Borezo, and James Reid-Cunningham. The Guardian has been running a series of articles called ‘Disappearing Acts,’ focusing on ‘disappearing’ or presumably ‘endangered’ crafts such as bookbinding, making brooms, caskets, saddles, and restoring stained glass. Apart from the poorly chosen series title, The Guardian has done a nice job capturing the many procedures involved in bookbinding, and has posted a good audio slideshow showing binders at work in Shepherds’ Sangorski & Sutcliffe bookbindery in London. Worth a surf. Above: Ali Strachan of Shepherds’ Sangorski & Sutcliffe bookbindery in London. “A very limited number of copies of Philip Pullman’s À Outrance [Oak Tree Fine Press] will be hand bound by the best designer bookbinders around. Designer bookbinders are involved (they do prize bindings for Man Booker) and these books are going to be just about as amazing as they come!